Item SMUG-10E * 10 oz white enamel mug with silver rolled rim. Retro look, coated for sublimation. Hand wash; Lead and cadmium free and conforms to FDA requirements. Durable and impact resistant. Ideal as an adventure mug for outdoor use, camping, patio, bbq’s, and picnics. Image area is 7.5″ x 2.0″ Note that due to the retro design of the enamel mug, enamel paint loss is a normal phenomenon. Note: This mug is not recommended to be used for heating, cooking or microwaves. Includes mug box. Item SMUG-11PE * 11 oz Premium Iridescent Pearl Finish. Make your images “pop”. 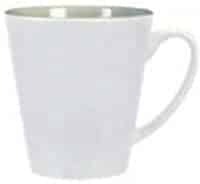 Mug AAA Grade, European Coating, UV Protected, Microwave and Dishwasher Safe. Qty 36/case – Broken cases billed as each. 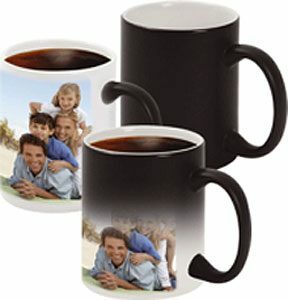 Item SMUG-15BW * 15 oz Premium Black with White Patch Sublimation Mug Ideal for for two-sided printing. AAA Grade, European Coating, UV Protected, Microwave and Dishwasher Safe. Item SMUG-11MOR * 11 oz Morphmugs! Color changing mugs! These mugs dynamically react to heat and totally change color and message in the most amazing way. Available in black these heat-activated mugs change to white when heated. AAA Grade, European Coating, UV Protected, Microwave and Dishwasher Safe. Item SMUG-15MOR * 15 oz Morphmugs! Color changing mugs! These mugs dynamically react to heat and totally change color and message in the most amazing way. 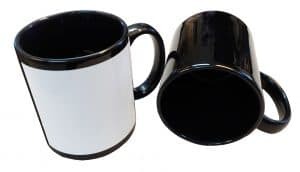 Available in black these heat-activated mugs change to white when heated. AAA Grade, European Coating, UV Protected, Microwave and Dishwasher Safe. Item SMUG-11SB * 11 oz white sublimation mug with a “spinning” soccer ball. Great gift and conversation piece. AAA Grade, European Coating, UV Protected, Dishwasher Safe. 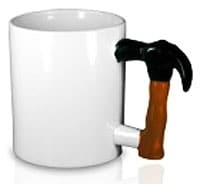 Item SMUG-11HH * 11 oz white sublimation mug with a “hammer” handle. Great gift and conversation piece. AAA Grade, European Coating, UV Protected, Microwave and Dishwasher Safe. 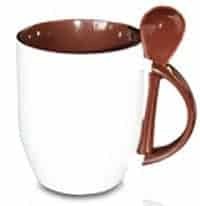 Item SMUG-11SP * 11 oz white sublimation mug with a ceramic spoon inset in the handle to stir your hot drink. Great gift and conversation piece. AAA Grade, European Coating, UV Protected, Microwave and Dishwasher Safe. Item SMUG-12WL * 12 oz Latte Sublimation Mug AAA Grade, European Coating, UV Protected, Microwave and Dishwasher Safe. Item SMUG-16WL * 16 oz Latte Sublimation Mug AAA Grade, European Coating, UV Protected, Microwave and Dishwasher Safe. Qty 24/case – Broken cases billed as each. Item SMUG-6W * 6 oz espresso mug. A very elegant and classy mug, perfect for your espresso shots. – AAA grade – hard coated. UV Protected, Microwave and Dishwasher Safe. Qty 48/case – Broken cases billed as each. 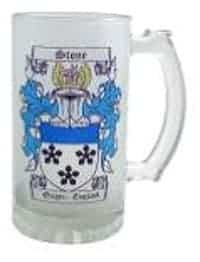 Item SMUG-16F * 16 oz Frosted glass beer mug holds 16 oz. 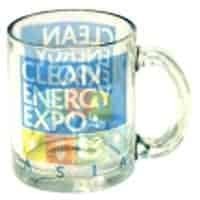 made of thick-walled frosted glass, each handsome mug features an easy-grip handle and a heavy base.. 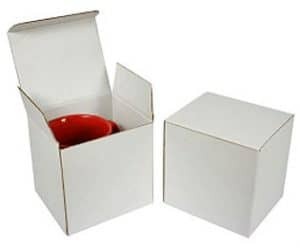 Item SMUG-BXT11 * Deluxe Mug Gift Boxes for 11 oz mugs – White Size 4” x 4” x 4” Qty 200/case – Broken cases billed as each. Item SMUG-BXT15 * Deluxe Mug Gift Boxes for 15 oz mugs – White Size 4.24” x 4.24” x 4.87” Qty 200/case – Broken cases billed as each. IT’S RARE BUT SOMETIMES THINGS HAPPEN! 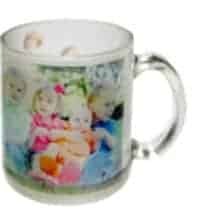 All ceramic mugs are double boxed and each shipment is adequately insured. All claims for breakage should be reported to the transportation company immediately. Keep original carton until after inspection. We make no allowance for breakage in transit. “Special Handling Service” is available by request at the time of order and is an additional charge. * Print transfer and attach to the mug using a heat resistant tape. Wrap the bank with pellon or plain white paper. * Remove the mug from the press and remove the transfer immediately. Place the mug in room temperature water to cool and to stop the sublimation process. Print the transfer. Note that the typical imaging area is 1.25” in from the handle and .25” from the top and bottom sides of the cup. Note: Camp cups are stainless steel coated with enamel and then coated with a clear sublimation coating. No chemical product that can contaminate food is used in these processes. The enameling is a dipping process and as a result we can’t promise 100% perfect for all the enamel cups. Slight specks, dots, bulges, potholes are acceptable (excluding slight enamel loss). Hand washing is recommended. * Print transfer and attach to the jar using a heat resistant tape. 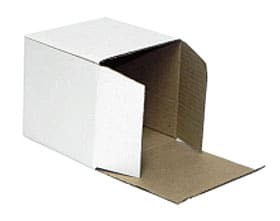 Wrap the bank with pellon or plain white paper. * Remove the jar from the press and allow to cool. Do not place in water to cool. * Remove the mug from the press and remove the transfer immediately. Allow to cool. DO NOT place in water to cool. Note: While you can get a full bleed off the top of a Glass Mug, the bottom is very thick glass, and takes longer to heat up. For the best results, we recommend leaving a space of at least 1 1/4” at the top and bottom of the mug. * Remove the mug from the press and remove the transfer immediately. Allow to cool. DO NOT place mug in water. •The key to achieving success with Morph Mugs is pressure. Too much pressure alters the morph effect; not enough may produce a washed-out transfer. 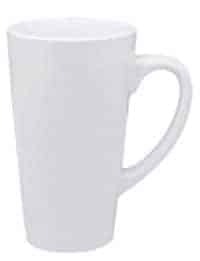 •The image for any of the mugs needs to be about .25” from the top and bottom of the mug and 1.25” from the handle. You always will be able to see the image dimly on the darkened morph mug. It will reveal the image brightly as the mug is filled with hot liquid and turns white. * After removing the mug the print appears to deteriorate. This happens when the mug continues to cook after it has been removed from the press. You could either reduce the temperature slightly or to immediately halt the effect place the hot mug directly in a water bath. * Edges of the image are looking a bit faded. Usually this can be prevented by increasing the pressing time. * It is recommended that the heat press is turned off at regular intervals, eg. every hour and allowed to cool. * The heating element is classed as a consumable as it will deteriorate after time. 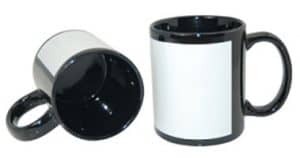 As an average you will generally get several thousand pressings from an element however the manufacturer’s guarantee is for pressing 500 mugs or 3 months warranty, whichever comes first.